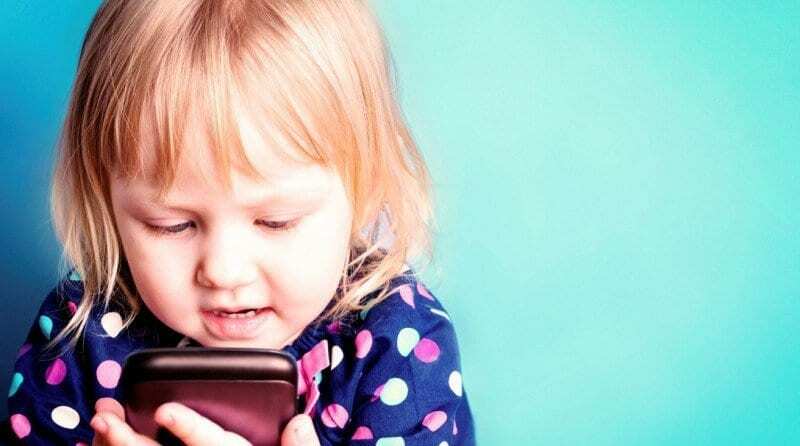 Smartphone use in Early Years learning – a hindrance or an essential tool? Parenta ran a recent poll of people who worked in the childcare industry and asked about their attitude to technology in the early years. To the question: “Do you think smartphones are hindering children’s development?”, the overwhelming majority (87%) agreed that they were. Numerous studies have shown that the experiences a child has in the first five years of their life has a significant impact on his or her personality, thinking skills, social development and behaviour. But how far-reaching can the effects of using a smartphone be on a child’s development during these crucial first few years? Dr Madeline Portwood, an educational psychologist, says there has been a noticeable decline in the language skills of children of school-starting age in recent decades. She says: “Staff have complained vociferously in the last five or six years about children being less well engaged when they start school. Can the increasing availability of smartphones and other digital devices to pre-schoolers be to blame for this? In recent years, iPhones and smartphones have become a commonplace accessory which children have access to – both at home and whilst out in public. She says that nowadays it seems increasingly the case that the adults talk, whilst children are focused on the small screen. Unfortunately, because this scene plays out again and again, children are missing out on the chance to engage in conversation and develop their listening and communication skills. The solution, it seems, is to limit a child’s exposure to mobile devices rather than excluding them from using this type of technology altogether. Dr Madeline advises parents to limit their children’s screen time to no more than 1 hour a day and that mealtimes should be an IT free environment, allowing time for proper conversation. Whilst smartphones and iPhones have their place as tools to help children’s learning, there is a balance to be struck to ensure that children’s emerging social skills are not adversely affected by their overuse.